Leaving your lead generation campaign to the expert? As a business owner, I understand that you want to be involved especially during the startup phase. However, as your business grows, you’ll need to start delegating tasks to ensure that your business is running efficiently. According to Gallup, delegation is the key to business growth and expansion. They compare the results of their study with Inc, on 500 business owners and the result shows that strong delegator talent has an average three-year growth rate of 1,751% while the CEOs with weaker delegation talent only has an average three-year growth rate of 112%. But why do companies outsource their lead generation campaign? Lead generation should not be the responsibility of your sales team. Why? Businesses nowadays prefer to outsource their lead generation campaign because it is more cost effective than doing it in the house. 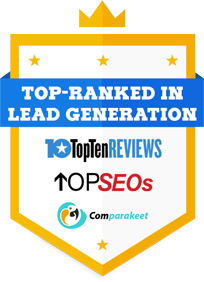 I’ve listed down my 7 reasons why you should leave your lead generation campaign to the experts. Reason #1: It is cost effective. Hiring salespeople time-consuming. Plus, overhead expenses such as salary, incentives, holiday pays, office equipment makes it even more costly. Reason #2: They can generate warm leads. There’s no need for you to do cold calling and prospecting. Having a partner B2B lead generation company are trained to transform cold leads into warm appointments. Reason #3: They are metrics-driven. The scientific breakdown of leads is a gold mine for marketing teams, as the associated data can improve their marketing campaigns in the future. More importantly, they also get metrics-driven, quantifiable feedback on the results of their active campaigns. Reason #4: They have their own database. Whether you decide to rent or buy your own database for your campaign, most B2B lead generation company has their own database for their clients to use when they sign up a campaign. Reason #5: They invest in their employees. B2B lead generation companies hire and train their employees to become experts in what they do. Reason #6: Start your campaign ASAP. B2B lead generation companies already have a team of professional salespeople with sales skills to be able to start the campaign immediately. Reason #7: They have the right tools. You get access from their latest marketing tools like lead management and nurturing tool. 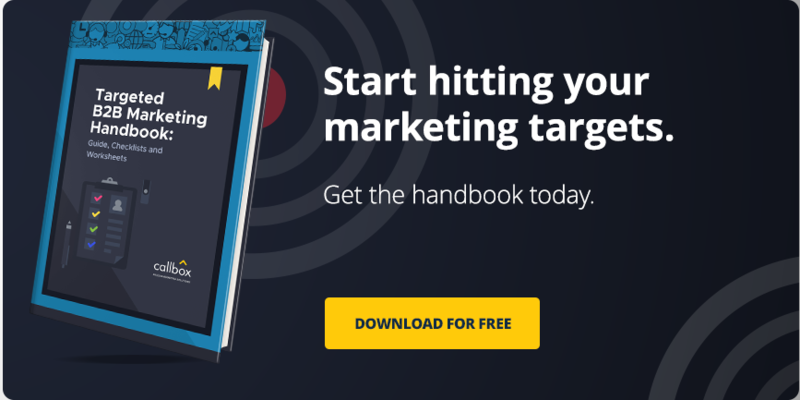 It would cost you more if you buy the tools and train your in-house marketing team. They even provide warm leads that were not converted into appointments during the campaign for their clients to follow up and nurture when the campaign ended. Learn to maximize your team’s time and efforts and let them focus on tasks that matter most to your company. To further assists your internal sales team in closing more deals and help prevent warm leads from going cold, start outsourcing your lead generation campaigns now. https://www.callboxinc.com.au/wp-content/uploads/2017/05/expert.jpg 352 800 Dara Lin https://www.callboxinc.com.au/wp-content/uploads/2019/01/callbox-logo.png Dara Lin2017-05-11 03:02:002019-04-15 10:54:40Leaving your lead generation campaign to the expert?